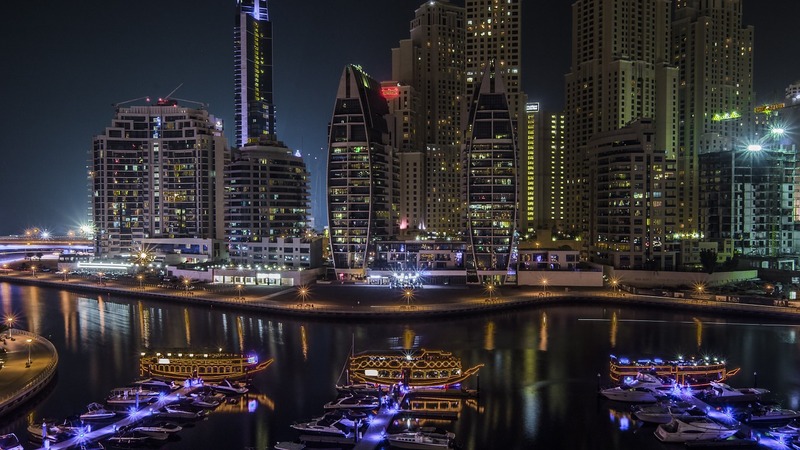 A 50-million-sq-ft waterfront community clustered around a 3.5km canal, Dubai Marina is home to a profusion of residential towers, five-star hotels, glamorous yachts, water and land-based leisure amenities and world-class retail attractions. A popular address for expat professionals, families and visiting holidaymakers, the area is well serviced by public transportation with both Dubai Metro and Dubai Tram station connectivity. Car and cab access is directly off Shaikh Zayed Road (Dubai International Airport is a 30-minute drive away outside of rush hour) or from Al Sufouh Road along the Gulf. Residents have a full-fledged community literally on their doorstep, with many attractions within walking distance and covering the full gamut of services from minimarts and pharmacies to beauty salons and dry cleaners. The 150-sq-m Dubai Marina Mall, with close to 120 stores, anchors the retail offering fronted by Dubai Marina Walk, a meandering promenade populated with restaurants and the Pier 7 “gourmet tower”. An Emaar development, the bricks and mortar component is represented by numerous developers, including Damac Properties, Select Group and Emaar Properties. “Dubai Marina offers a huge mix of properties, from a cosy studio to the most luxurious penthouse apartment you could think of — and everything in between. As well as apartments, you can also buy waterfront villas in the marina,” says Lewis Allsopp, CEO of Dubai-based real estate agency, Allsopp & Allsopp. A waterfront community that has all the buzz of city living, offset by the relaxed beachfront lifestyle just a few minutes drive or walk away, Dubai Marina “literally has something for everyone” according to Allsopp. The residential contribution is as eclectic as the marina skyline, which means that prospective residents or investors should be able to find a new home, buy-to-let investment or real estate portfolio addition to suit their buying criteria and budget. At the top end of the market, Dubai Marina is home to a collection of luxury penthouses, with Dh8 million the entry point and peaking at a staggering Dh60 million. Average rental rates currently range from Dh50,000-Dh100,000 for a studio, Dh60,000-Dh150,000 for a one-bedroom apartment and Dh85,000-Dh250,000 for a two-bedroom apartment. Three- and four-bedroom units are renting from Dh115,000 up to Dh300,000, with penthouse upwards of Dh250,000 to Dh1 million.